Considered a standard industry resource, the Embedded Systems Handbook provided researchers and technicians with the authoritative information needed to launch a wealth of diverse applications, including those in automotive electronics, industrial automated systems, and building automation and control. Now a new resource is required to report on current developments and provide a technical reference for those looking to move the field forward yet again. Divided into two volumes to accommodate this growth, the Embedded Systems Handbook, Second Edition presents a comprehensive view on this area of computer engineering with a currently appropriate emphasis on developments in networking and applications. Those experts directly involved in the creation and evolution of the ideas and technologies presented offer tutorials, research surveys, and technology overviews that explore cutting-edge developments and deployments and identify potential trends. 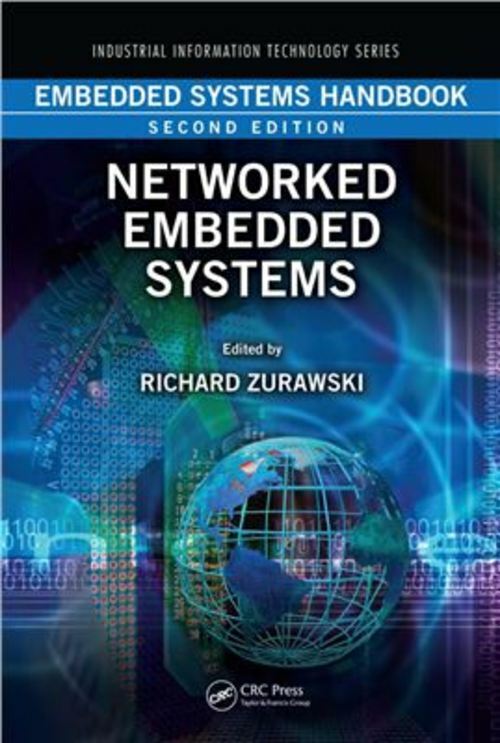 This second self-contained volume of the handbook, Network Embedded Systems, focuses on select application areas. It covers automotive field, industrial automation, building automation, and wireless sensor networks. This volume highlights implementations in fast-evolving areas which have not received proper coverage in other publications. Reflecting the unique functional requirements of different application areas, the contributors discuss inter-node communication aspects in the context of specific applications of networked embedded systems. Those looking for guidance on preliminary design of embedded systems should consult the first volume: Embedded Systems Design and Verification.